CHALLENGE: Develop a brand around our client's product (beer) and integrate the brand into all marketing content and the environmental design of their brewery and taproom. 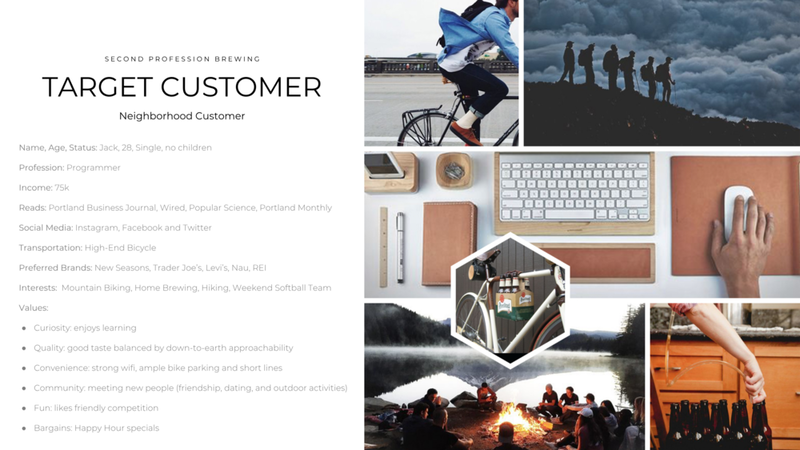 SOLUTION: Based on a competitive analysis, user insights, and a deep understanding of what drives the business owner to brew beer, we defined points of differentiation and created a brand which looks and feels one of a kind in the Portland market. DELIVERABLES & SERVICES: Brand Identity, Brand Positioning, Research & Strategy, Competitive Audit, Messaging Voice & Tone, Brand Guidelines, Print Collateral, Illustration, Styled Photography, Interior Design, Copywriting, PR Consultation, Marketing Materials, and Social Media Content Strategy. 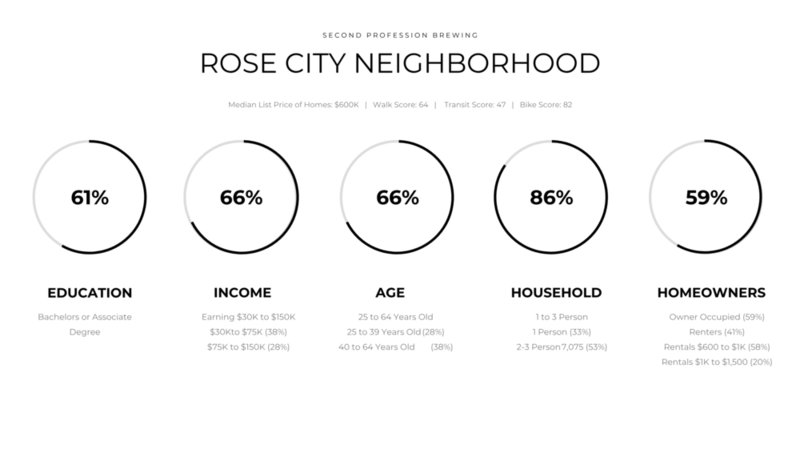 RESULTS: Second Profession Brewing has been open for almost 1 year, has a great local following and recently received a positive review in their neighborhood newspaper. At Second Profession Brewing we celebrate our love of beer and encourage you to explore and discover new beers with us. From tastings to brewing classes, we've got you covered! Join us for a flight at our Rose City neighborhood taproom. Bring your friends, family, and meet your neighbors over delicious German comfort food and house made craft beer. Historically, each village had a brewery and everyone in the community pitched in to participate in its success. Taking a note from this heritage, Second Profession Brewing is a space to cultivate community and explore beer in a friendly environment where everyone is welcome. Make sure to say hello the next time you stop by, we love to talk shop. Second Profession Brewing, where good beer is celebrated and tasting is encouraged. 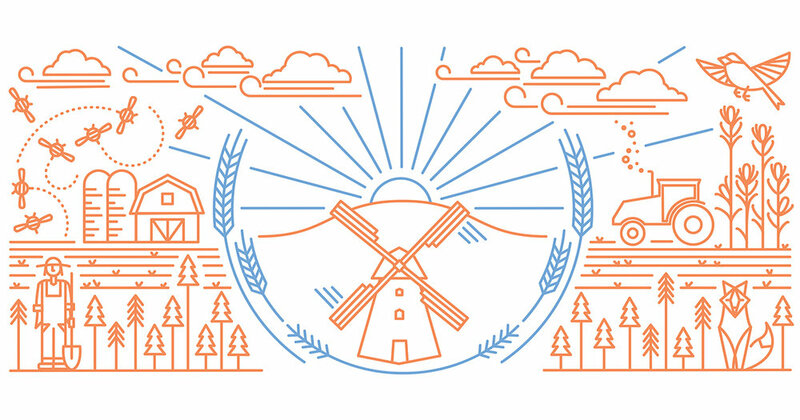 Given the owner's desire for the brewery to be an extension of his German roots, I based our design language upon a "German folk art meets 1930’s German graphic design" concept (see above). 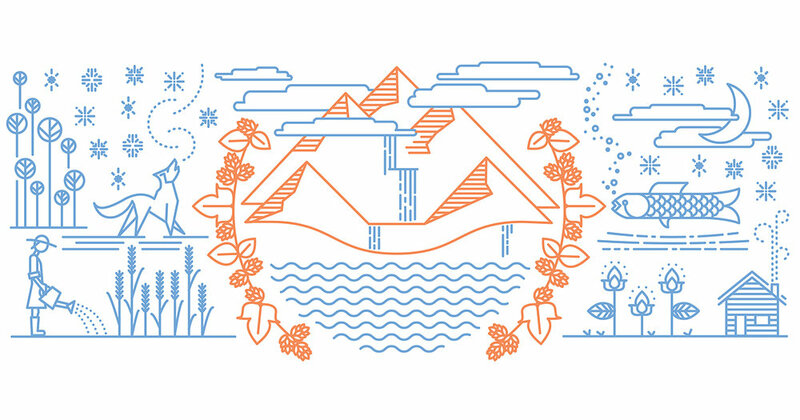 The content tells a story of a village working together to make the beer and the natural elements such as wind, sun, water and land, which all assist in the process. These murals were hand-painted to add depth and storytelling to the environment. To emphasize community compose shots with people in them. Stylized overhead shots of food and beer can have hands in them and be shot at the community tables. Place a family out of focus in the back of the frame. Shots of the space should frequently have happy people in them. 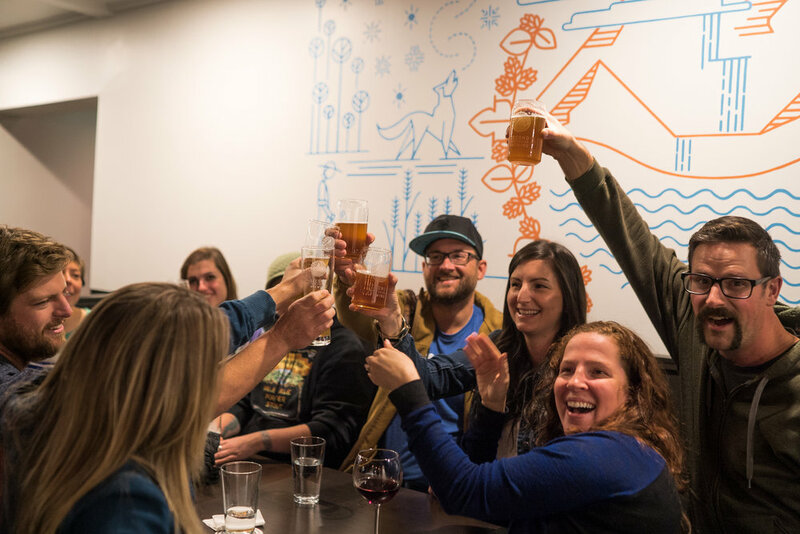 Forge meaningful connections with our customers and community while sharing our love of beer and brewing knowledge. Add value to our neighborhood and customer's lives. SPB, where discovery meets community. Create warm, inviting vignettes by using the brewery environment as the backdrop. For added warmth, including plants and the mural in shots. Include the human element by having a hand holding or pouring a beer, or serving a platter of food. After researching the neighborhood I created a few personas which address geographics, demographics, psychographics, and behaviors of the ideal customer with the goal of taking locals from brand oblivious to brand advocates. Goman purchased the building in 2017 and with the help of Room Service Creative, a full-service creative agency, the space has undergone a transformation. Goman wants his brewery to add to this neighborhood by creating a welcoming space that supports community and shares his love of beer and brewing. 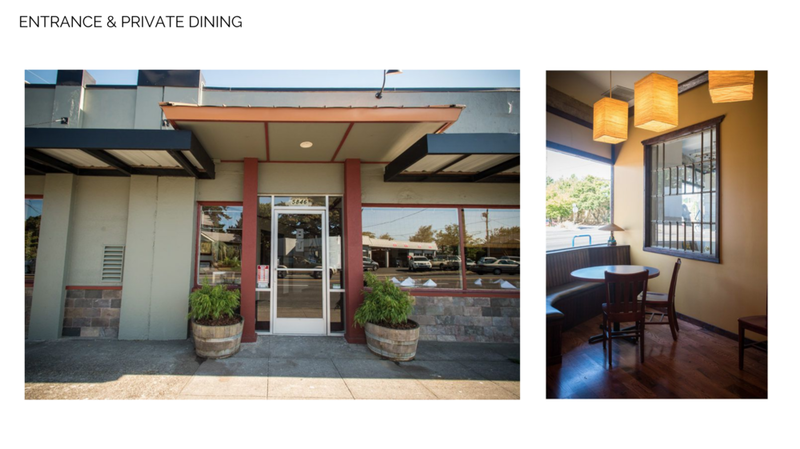 To translate this goal into the space, I created an open floor plan with community tables where groups can gather or perhaps neighbors will sit together and get to know each other better. I added banquettes around the parameter and a private dining space that now seats 10. For a modern touch, I designed a wainscoting effect in black paint which serves to connect and defining the space. Hand painted graphics on each of the 4 walls adds warmth and subtle branding, making the space more easily identifiable in photos across social media.